Description Of Item: Formerly released in Japan as mystery box collectibles and imported exclusively by DC Direct, this is the first time these figures have been sold fully assembled! This series is scheduled to include: Batman, Catwoman, Harley Quinn, The Joker, Robin, and the Batmobile. 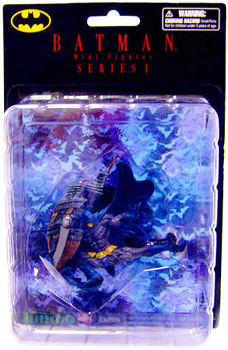 Each mini-figure was produced by Kotobukiya, measures approximately 3-inch tall, comes painted and ready for display, is individually packaged in a 4-color blister card.